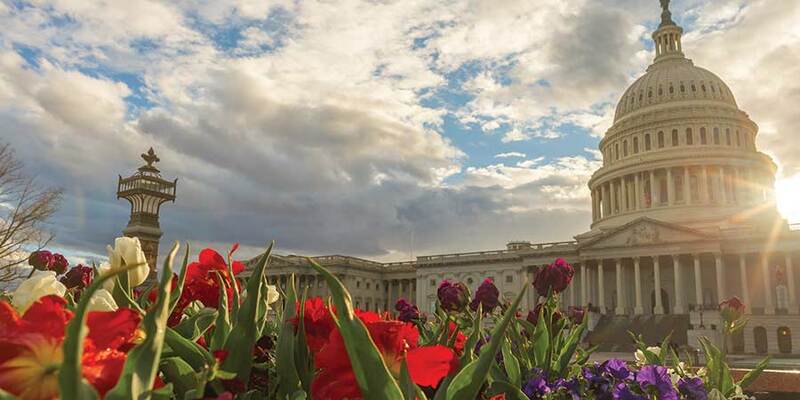 Earlier this spring, the U.S. Congress passed S. 2155, the Economic Growth, Regulatory Relief & Consumer Protection Act. The Act allows credit unions to help protect seniors from elder abuse and fraud related to their credit union accounts. It also removes burdensome regulatory requirements on credit union mortgages that placed affordable housing out of reach for many Americans. Big bank lobbyists lined up to oppose the congressional bill. But the voices of tens of thousands of credit union members flooded the offices of congressional members, and in the end the measure was passed and signed into law. In today’s political environment, it’s easy to want to retreat and raise a white flag. But this victory for millions of credit union members around the country shows that people power is alive and well. It happens one phone call, one letter, one email at a time – but can resonate in a powerful chorus when we band together to let policymakers know we care, and are a force to be reckoned with. So how can you get more involved in influencing what goes on in the halls of political power? Here are a few tips to help you more personally impact what’s going on in Washington D.C. and in your state legislature here at home. 1) Send a personal letter. Lawmakers receive hundreds — and sometimes thousands — of emails every week. Often those emails are “canned” emails from various interest groups who are mobilizing their members on a specific issue. These mass emails that express support in large numbers can have significant impact, especially if they are personalized by each sender. Even better, handwritten or typed letters sent via the good old fashioned U.S. mail stand out and are often personally read by lawmakers. Keep your note short and to the point. Let your lawmaker know how a certain bill or policy personally impacts you. Keep emotions in check and be courteous and respectful, or your note may become bird cage liner. 2) Follow your lawmakers on social media. If you actively use social media, following your elected officials allows you to become familiar with their positions on issues important to you. It also allows you to comment and react to those positions so they know where you stand. Lawmakers and their staff closely monitor trends in their social media channels. As with written letters, be respectful and courteous, even if provoked by others. And remember that everything you post on social media is there for the whole world to see — today and long into the future. 3) Attend a town hall meeting. State and federal lawmakers often visit communities in the districts they represent. These are excellent opportunities to voice your opinion about issues important to you. It’s also a great time to hear from your elected official up close to learn about their perspectives and positions. Ask a question. Visit with the person sitting next to you. You’ll often find that there is common ground with all of us. 4) Request a meeting with a legislative aide. Lawmakers are assisted by staff members with expertise in different issue areas. Sometimes the best path to influencing a member of Congress or a state legislator is with a staff member. They can help you prepare for a potential meeting with a lawmaker and help connect you with government resources or mediate a problem if you are experiencing an issue with a state or federal agency. 5) Politicians are people too. The rancor that prevails in our political arena today is fed by a hungry 24-hour news cycle and impersonal dialogue that often takes place in short Tweets and shared social media posts. Elected officials are easy targets because their role is so public. But they are also our neighbors, our friends and even family members. There is a great deal of pressure involved in making public policy, and it can be a thankless job. So next time you decide to reach out to your elected representative, thank her or him and let them know you appreciate what they are doing, even if you don’t agree with their politics. You can express differences without creating animosity. We are all Americans! TwinStar Credit Union – standing side-by-side with you – will continue to work with our federal and state lawmakers in support of member-focused credit unions and laws that help them thrive. Thank you for stepping up and making your voice heard!